Sad news. One of Pablo’s oldest friends has died. 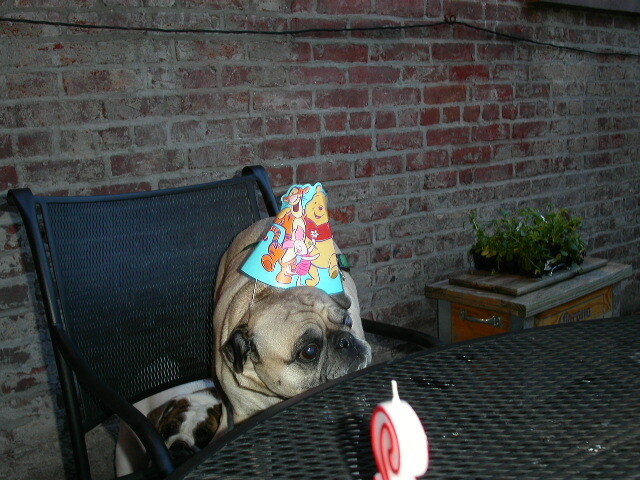 Lucky was my cousin J’s first dog and he was a pug. J got Lucky before Pablo joined our family but while I was seriously thinking about acquiring a pug. 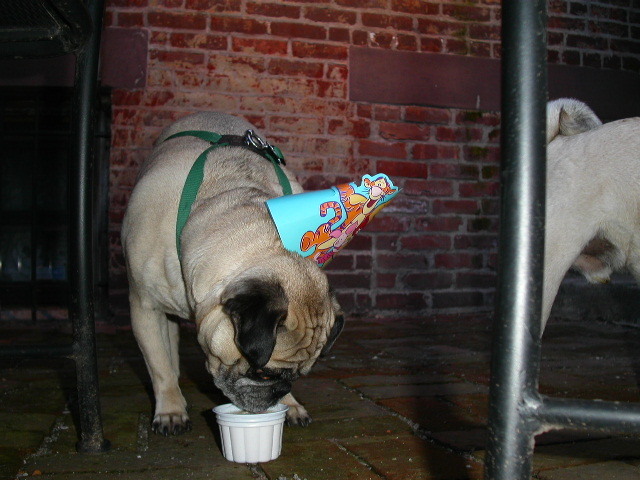 Seeing how happy J was with Lucky helped to convince me that a pug was the way to go. Once while I was living in Jersey City, Lucky and his brother Major (a bulldog) came to stay with us. By then we had Pablo and he was overjoyed to have friends to play with. It was a weeklong doggie sleepover. 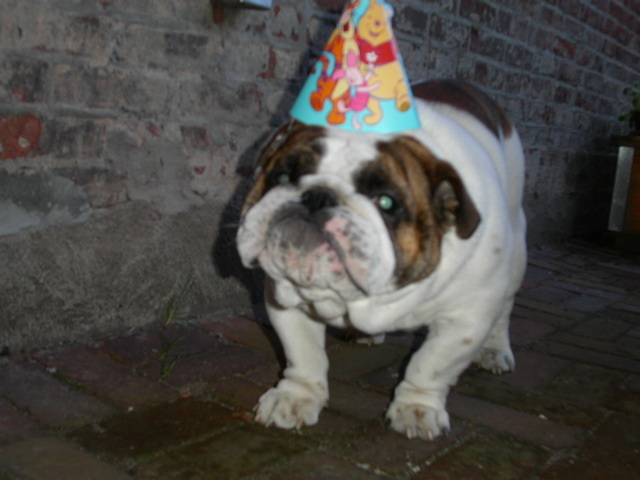 During their stay, Pablo had his second birthday and the doggie duo helped us celebrate the happy occasion. RIP, Lucky. I know you’re in Pug Heaven, sniffing (and marking) the grass, chewing on a rawhide, and frolicking with the other pugs. Very sad. Heartfelt condolences to Jennifer and Matthew and family.